The mystery deepens over missing Malaysia Airlines Flight MH370 as the 13-hour time difference has created a frustrating news cycle of fresh reports in the evening, followed by government denials in the morning. Today, Malaysian officials denied a Wall Street Journal report that U.S. officials believe the plane flew for an additional four hours past the time it made its last transmission with the ground. The report cites un-named aviation investigators and security officials suggesting the plane continued to transmit data from its Rolls Royce engines well beyond the time it was believe to have vanished. The WSJ report indicated counterterrorism officials are investigating the possibility that a pilot or someone else diverted the plane to an undisclosed location after turning off its transponders to avoid radar detection. Malaysian Transport Minister Hishammuddin Hussein said at a news conference, "As far as both Rolls-Royce and Boeing are concerned, those reports are inaccurate. The last (data) transmission from the aircraft was at 01:07 a.m. (Malaysian time, March 8) which indicated that everything was normal." Boeing and Rolls-Royce have not commented publicly, nor are they expected to during an active investigation. If the report that the plane flew for an addition four hours is true, that means it could have flown up to an addition 2,200 miles, which would further widen and complicate the area for search and rescue teams. 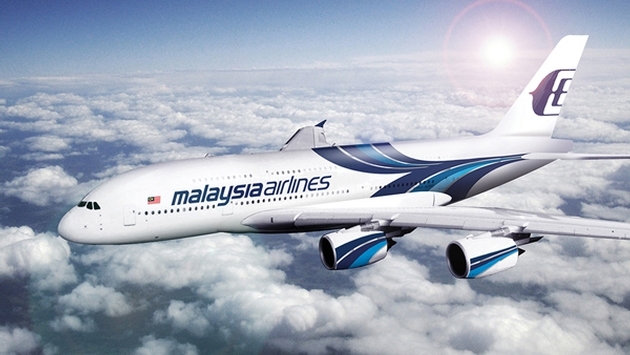 Separately, Malaysia Airlines said that as a mark of respect to the passengers and crew of MH370, the MH370 and MH371 flight codes will be retired from the Malaysia Airlines’ Kuala Lumpur-Beijing-Kuala Lumpur route.